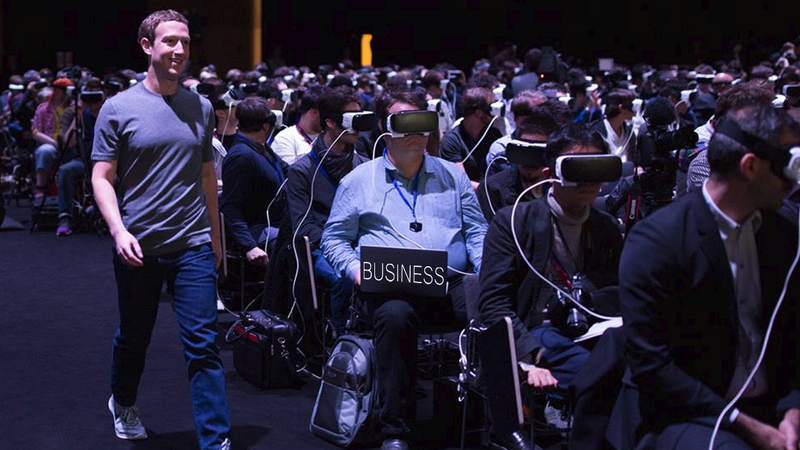 This Week In The Business: VR We There Yet? STAT | 200 - The number of Oculus Rift demo units being pulled from Best Buy stores in the US, reportedly due to a lack of consumer interest in trying them. QUOTE | “We were happy to bring the titles to market because it was a reflection of the fact we have the R&D abilities to address video games in a VR format if and when that’s a meaningful part of the business. I have expressed skepticism in the past, and I think that’s been borne out by the fact that the market for VR in video games remains quite small.” - Take-Two’s Strauss Zelnick discusses the performance of the publisher’s first two VR projects, Carnival Games VR and the NBA 2K VR Experience. QUOTE | “2017 will be a bit of a re-balancing year. Last year was all ‘Yay, it’s here, everyone get involved,’ and there wasn’t... I am not saying there wasn’t any due diligence and thought, but it was a lot more ‘let’s go for it’. Whereas now people are starting to ask: ‘Actually, how long is it going to take?’” - Dream Reality Interactive founder and former Sony London head David Ranyard says he fully expected the VR hype to drop off a bit this year. QUOTE | “What was the killer app for the App Store? I would argue it was flexibility; the ability to become different for each person. If you’d have asked me 20 years ago what feature do I most want on my phone, I probably would say something about making phone calls; now I rarely make a phone call.” - Valve’s Chet Faliszek disputes the notion that VR needs to have a “Killer App” in the traditional sense. QUOTE | “Right now we’re building three VR games. When I say we’re building three games, we’re building three full games, not experiments.” - Valve’s Gabe Newell details the company’s commitment to VR. QUOTE | “Once set up, developers will pay a recoupable application fee for each new title they wish to distribute, which is intended to decrease the noise in the submission pipeline.” - Valve’s Alden Kroll explains why Steam is replacing the Greenlight process with Steam Direct. QUOTE | “The move is long overdue as we have all seen the tremendous success that is Gamescom Europe.” - Team17 co-founder Debbie Bestwick welcomes the Entertainment Software Association’s decision to sell 15,000 tickets to the Electronic Entertainment Expo directly to the public. QUOTE | “The feedback we heard was clear—they wanted to play the games inside the convention center. In addition, exhibitors inside the convention center wanted to have access to the fans. So this year we’re bringing the two together.” - ESA VP of communications Rich Taylor explains why the organization abandoned last year’s poorly received attempt at incorporating the public, E3 Live. QUOTE | “It’s clear for a portion of our audience, the space setting just didn’t resonate.” - Activision Blizzard COO Thomas Tippl explains what went wrong with Call of Duty: Infinite Warfare, the disappointing performance of which was a drag on the company’s otherwise shining financial results. QUOTE | “Not as dynamic as expected.” - Ubisoft describes the launch sales of Watch Dogs 2. Despite that, the game still performed better than the previous year’s big holiday Ubisoft release, Assassin’s Cred: Syndicate. QUOTE | “A platform where players can be entertained, and also entertain others while blurring the lines between reality and a simulated world.” - Former Rockstar developer Leslie Benzes describes his latest project, Everywhere, which now has three different studios working on it.